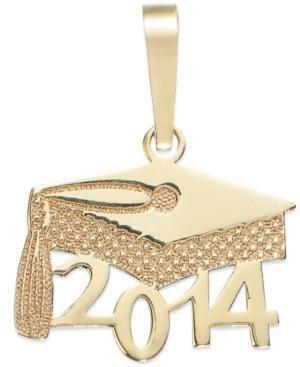 Give them an A+ for accessorizing with this embossed graduation cap charm. Set in 14k gold. Approximate length: 1 inch.